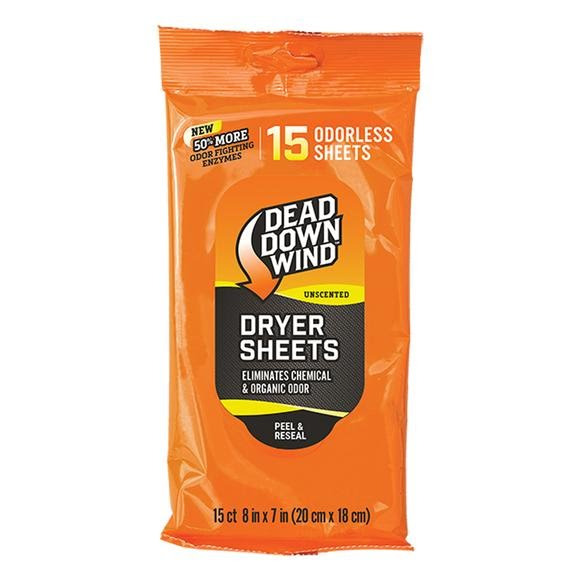 Dead Down Wind Dryer Sheets help you eliminate odor and prevent static build up with the only biodegradable sheets on the market. DDW has the only biodegradeable dryer sheets in the market. Being an earth-friendly, green company does matter to us and doesn&apos;t cost you extra! Scent Tip: Dryers are a large source of odor contamination than washing machines. It is critical to use a dryer sheet that actually eliminates odor. Many competitors do not add odor eliminating ingredients to their dryer sheets. Check the label for ingredients, and if the sheets are dry it&apos;s a good bet they will not eliminate odors.